Keeping your commercial properties clean can be a priority for your business , and it's a fact that nothing makes a building look cleaner than bright, clear, streak-free windows. It's not just about health & safety laws, it's also about image, perception, and productivity. People prefer to work in a clean environment and are happier and more productive. Dirty windows are one of the first things your customers will notice about your building too. Regular window cleaning brings all sorts of benefits that help you make the right first impression. We offer a comprehensive commercial cleaning service in Cheltenham, Gloucester and throughout Gloucestershire. Insured up to £5,000,000.00 we offer a unparalleled quality service for your business in Gloucestershire. We will work with you and meet your every requirement, showing upmost respect for your clients and property at all times. As part of all Commercial Cleaning services that we offer, we provide a Risk Assessment and detailed Method Statement. We always comply with all health and safety regulations and focus on delivering an environmentally friendly service. We use the latest in water Fed Pole technology up to 60ft as a safer alternative to using ladders. This ladder-less system means that there are no privacy issues, no damage from ladders being placed against walls or windows, and of course there is no disturbance to staff. If your business premises windows are higher than 60ft we would use access equipment. With access equipment we can get to windows that traditional and water fed pole systems cant get to. All our operatives are fully trained and hold IPAF licences for MEWPS. 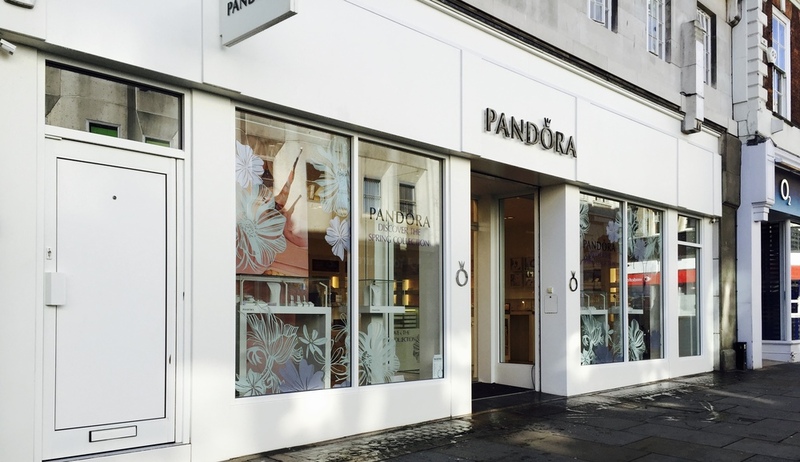 Regardless of whether you have a small retail premises, a restaurant or a beauty salon, a large office, a twelve storey hotel or a large secondary school with numerous buildings, we have the knowledge and experience to clean it and clean it well. 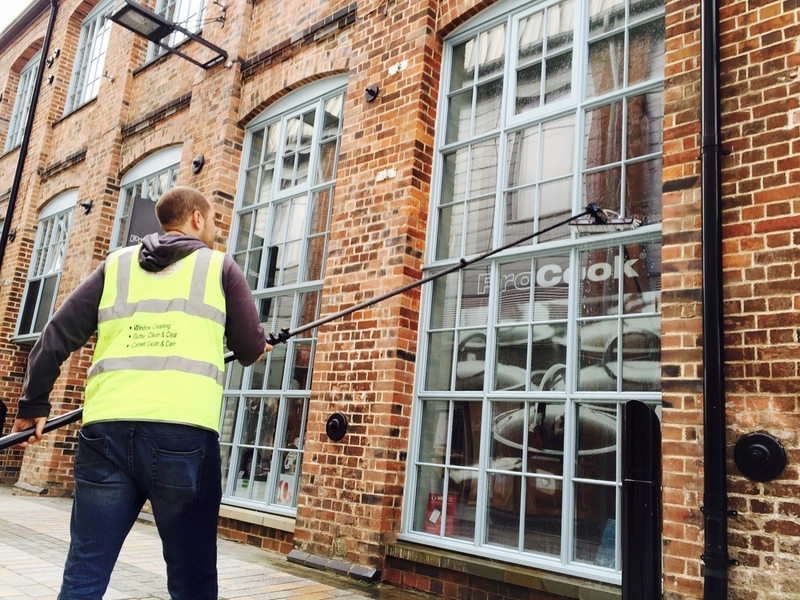 Our commercial window cleaning teams recognise how important it is to portray the right image to customers and employees alike and are committed to delivering standards of service that are unrivalled in the industry. Professional commercial window cleaners, external and internal window cleaning, around Gloucester, Cheltenham, Stroud, Bristol, Cirencester, Swindon and the surrounding areas.